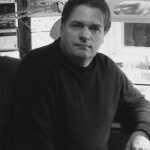 Andreas Grosser is a microphone technician and repair specialist for old German and Austrian microphones. He is one of the most gifted and famous microphone technicians and able to make special mods to improve the sound of even the best of them. What does Andreas offer to all microphone lovers and fans? Andreas can repair all historical as well as contemporary microphones from Neumann, Gefell, AKG, RFT, Telefunken, Siemens etc. From CMV3 to U47, from M49 to U67 and from KM54 to U87 (just naming a few of the most famous Neumann microphones), as well as microphones from CMV563 to AKG c12. Also Andreas Grosser offers interesting modifications for microphones, like for a example different capsules for U47 (ever wondered what a U67 head on a U47 body sounds like), vf14 substitutes, or also mods for microphones like the U87, M582, TLM 50 and many more. All pictures on this page were made by him and are under his copyright. None of them are to be used or distributed without his agreement. Website copyright © 2009–2014 Boris Carloff. Microphones images copyright © Andreas Grosser. This is a tribute fan page to Andreas Grosser.